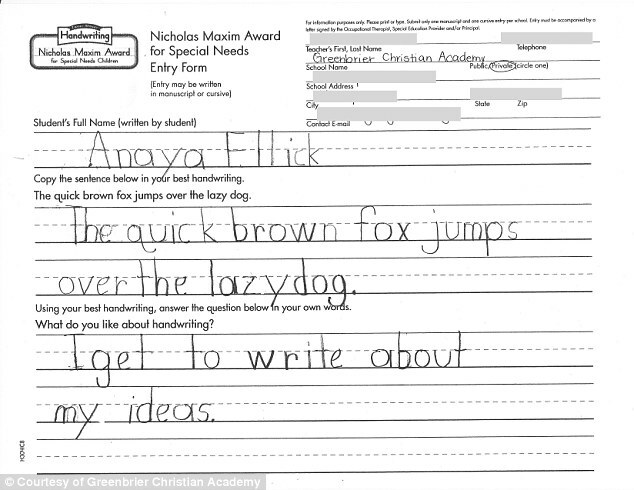 For someone who was born without hands, Anaya Ellick has the most beautiful handwriting. 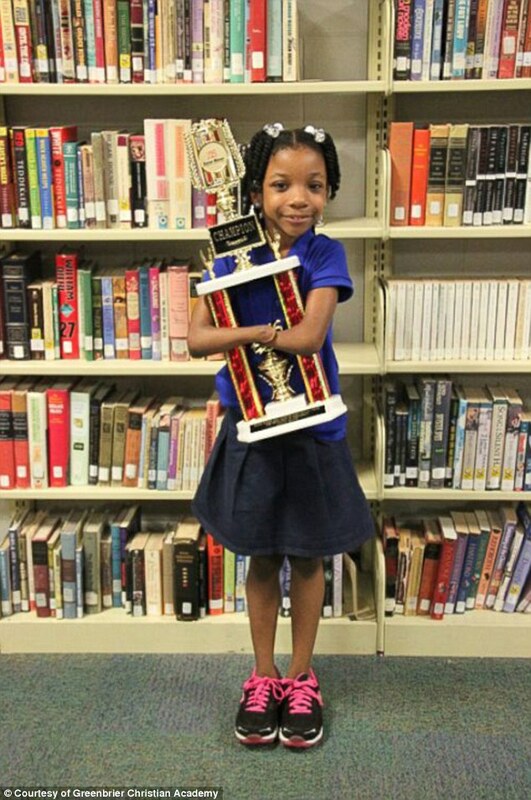 So much so, the seven-year-old from Virginia has just won a national competition for her form, beating out 50 other youngsters from around the country. 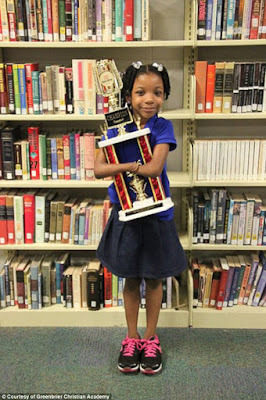 She chose to teach herself this method rather than learn to use prosthetics. 'She is a hard worker. She is determined. She is independent. 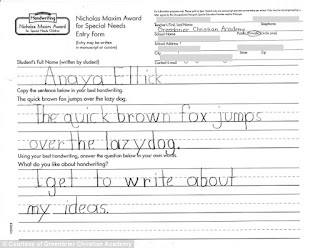 It was Cox who entered Anaya for the Nicholas Maxim Special Award for Excellence in Manuscript Penmanship. 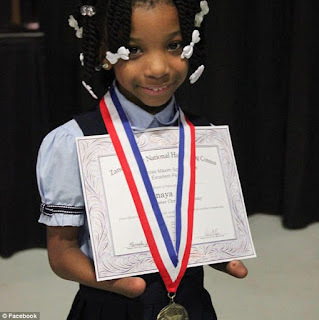 The national Handwriting Contest is an annual event sponsored by Zaner-Bloser to promote legible handwriting, and Anaya managed to win first prize. Anaya's parents, Bianca and Gary admit, are incredibly proud of their daughter, who they said has always been precocious - tying her shoes, getting herself ready, and attempting to do things herself before asking for help. However they admit that they worried about her when she was born without hands. 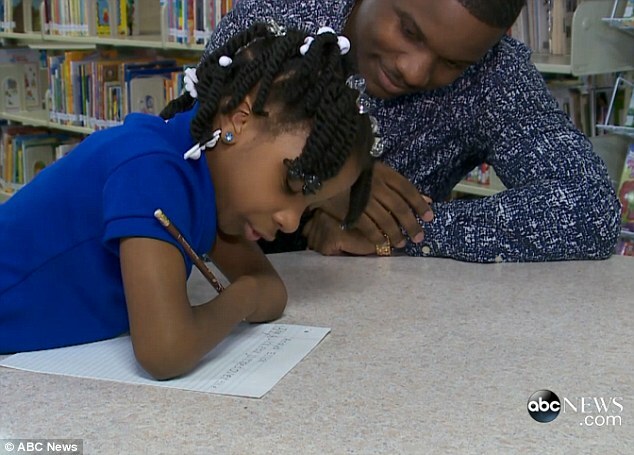 'It was a shock as first,' Gary told WTKR, before adding that they were confident Anaya could overcome her impairment, which she continues to do each day.